Organic Seed Alliance Program Director Micaela Colley at the nonprofit's research farm in Chimacum, Washington. You're forgiven if you missed the fact that Congress failed to renew the federal Farm Bill before the September 30 deadline. But people in farm country around the Pacific Northwest noticed. The U.S. House and Senate have passed differing versions of the massive farm bill and are having trouble agreeing on a compromise. Usually what happens in this situation is Congress passes a short-term extension to keep programs going, but that didn't happen this time. The two biggest pieces of every farm bill — crop insurance and food stamps — will continue uninterrupted because they have other authorization. But dozens of smaller programs and grants are now in limbo. Those include foreign trade promotion, support for biofuels, mentoring of new farmers and ranchers, plant breeding research, and subsidies for small and mid-size farms to get organic certification. "I am very anxious," said Micaela Colley, who oversees research and education at the Port Townsend, Washington Organic Seed Alliance. "We don't have the capacity and momentum for industry to take over all of the research and development that needs to happen now... Any gap year, you lose traction." 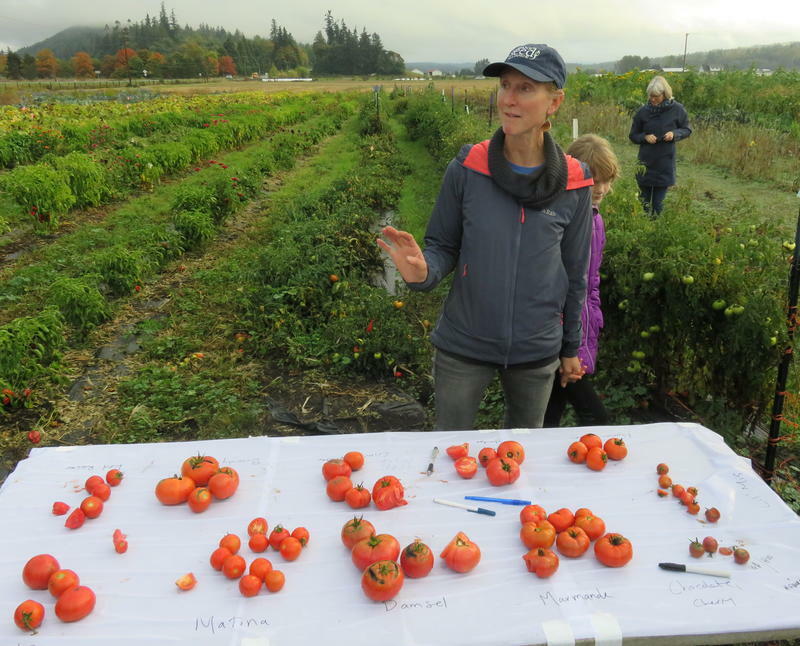 The Organic Seed Alliance is working on multiple vegetable breeding projects with Washington State University, Oregon State University and other partners to optimize varieties for Northwest growing conditions, improve taste, and develop seeds that can thrive without synthetic fertilizers and pesticides. Nonprofits like Colley's and state agriculture departments told public radio that they can get by on current funding or move money around temporarily. But an extended standoff in the other Washington would cause disruptions. "Though most observers we've heard from do not expect agreement before the upcoming mid-term elections, USDA has indicated that major cuts would not be likely provided Congress passes a Farm Bill before the end of 2018," said Washington State Department of Agriculture spokesman Chris McGann. McGann said state Department of Agriculture director Derek Sandison returned from a trip to Washington, D.C., last week with the impression that Congress would pick up the Farm Bill renewal during a lame-duck session after the 2018 mid-term elections. The state Agriculture Department uses federal funding provided through the Farm Bill to support trade mission activities. That is gaining in importantance right now as Pacific Northwest exporters try to work around brewing trade wars and tariffs. Farm subsidy reform is one of the hang ups preventing passage of the 2018 Farm Bill. Differences over food stamp policy — formally known as the Supplemental Nutrition Assistance Program (SNAP) — are another sticking point. Conservatives in Congress want more stringent work or job training requirements for able-bodied adults to collect food stamps. Democrats in both chambers strongly oppose increased work requirements out of concern that it could take food off the table for significant numbers of constituents. The smaller programs currently left stranded are not particularly controversial. In fact, many of them stand to get a funding increase in the pending versions of the 2018 Farm Bill. "When we hear that those programs are not going to be renewed, it really kind of puts a lot of what we do in limbo," said Viva Farms operations director Rob Smith in an interview Monday. Viva Farms is an organic farm and farm business incubator in the Washington's Skagit Valley. 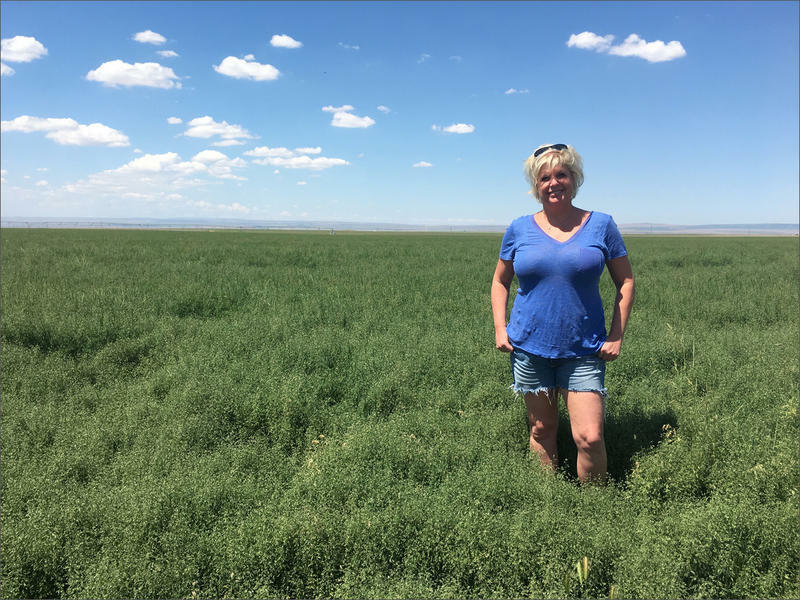 It provides technical assistance, mentoring and education to new farmers through the federally-funded Beginning Farmer and Rancher Development Program. "It also makes uncertainty going forward of what we can promise and what we can offer farmers in our area," Smith said. "So it is something that is unsettling." The U.S. House of Representatives recently failed to pass a farm bill and Northwest farmers are worried that the process is not plowing ahead.